With the number of submissions from Asia continuing to rise, the importance of ensuring the make-up of journal editorial boards reflects that shift has never been greater. However, recruiting a suitable Asia-based editor may not be as simple as it sounds – identifying the right person to approach, concerns over time differences and communication, and uncertainly over the correct cultural procedures can all prove stumbling blocks. One publishing group in Elsevier has come up with a novel approach – the Materials Science team, led by Publishing Director Deborah Logan, is trialing a series of Future Editors’ seminars. With the aim of ‘identifying new editors and engaging with the community’ the team recently held their first event in Beijing, China. The 65 attendees comprised leading young materials scientists and society contacts. Together, attendees represented seven countries or regions and more than 60 different institutes in Asia. 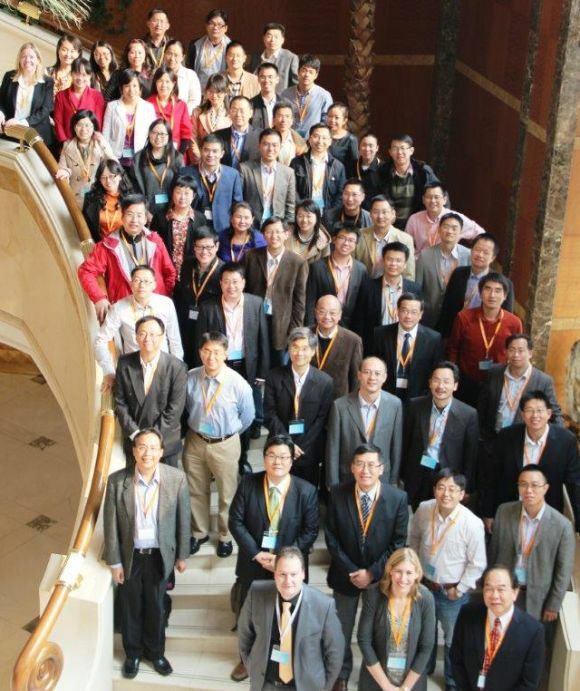 A one-day seminar was held in Beijing on October 18, 2013. 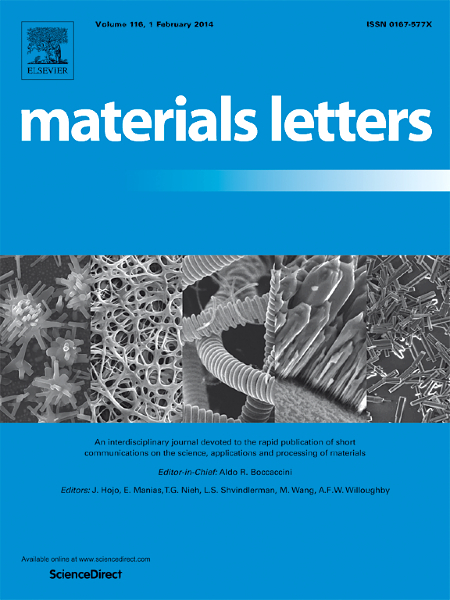 Invitations were sent to young and promising materials scientists in Asia who have both the interest and potential to become future editors on Elsevier journals. The seminar adopted a plenary style, featuring eight talks delivered by well-known senior scientists, experienced editors and publishing professionals. Logan believes there is a strong need for this kind of approach in the Materials Science field, which has undergone rapid expansion in recent years. She said: “Asia currently yields around 57 percent of our area’s overall submissions, and yet our editorial contacts from this region only make up 22 percent of our global network. 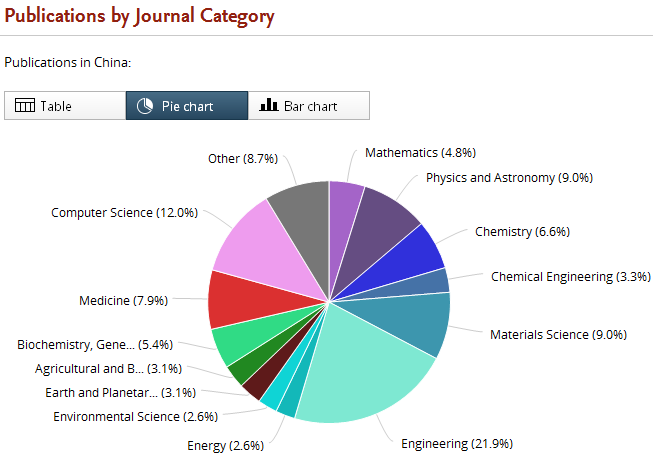 In China, the situation is even more acute; this is a country that produces about 28 percent of our total published content in Materials Science journals, yet only seven percent of our editors are from there. The issue is not one of willingness to serve – in fact, our research shows that, of any nation, Chinese researchers are the most willing to serve as reviewers and editors." According to Logan, Elsevier considers the event a success with 32 potential new trainee editors identified. It was clear from responses to a post-event survey that attendees also found the initiative useful: 90 percent agreed or strongly agreed they had the opportunity to exchange views with other materials researchers; meet journal editors; let Elsevier know their views; and network. Overall, all delegates agreed or strongly agreed that they were ‘very satisfied with the conference’. One commented: “…the talks were helpful for anyone like me who would like to be involved in editorial work in future.” While another appreciated the fact that it was “a great opportunity to learn the roles of an editor and talk with people from different parts of Asia”. An event highlight for many of the delegates proved to be the experiences shared by the senior editors who presented. Some attendees described these talks as “deeply moving”. 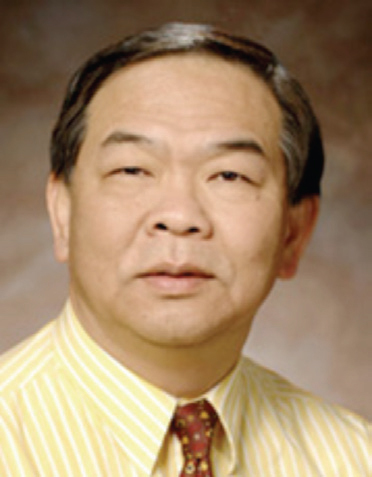 One of these presenters was Dr. T G Nieh, Editor-in-Chief of Intermetallics and Professor in the Department of Materials Science and Engineering at the University of Tennessee. With more than 400 journal publications in materials-related areas, he has been listed as one of the ISI’s most cited material scientists since 2003. Reflecting on the event, Dr. Nieh, whose talk was entitled ‘Progression from a reader, author, reviewer to editor’ said: “I was one of several Asian and Asian-American editors who candidly shared their experiences – the joy of reading the first-hand research results and interacting with dedicated reviewers, and the agony of meeting various publishing timelines and responding to unappreciated authors. The next seminar is penciled in for the Materials Today Asia Conference in 2014/2015. Other Elsevier divisions are also monitoring the success of the initiative closely. Back in Issue 33 of Editors' Update (September 2011), we focused on boosting Asian membership of editorial boards in an Asia Special edition of Editors’ Update. In Recruiting an Asia-based Editor. Case Study: The Lancet, we heard from the journal’s Dr. Helena Wang and Dr. Maja Zecevic about points to consider when incorporating an Asia-based editor into the team. Elsevier’s David Clark, now Senior Vice President Life Sciences, also touched on the importance of multi-cultural editorial boards in Meeting the Challenge of a Global Academic Community. He said: “This gap needs to be addressed, not for reasons of political correctness, but because of the practical advantages. It eases the burden on traditional academic communities and it offers access to good new people coming up through the system. Just look at the high standard of work already coming out of some institutes in China. He also outlined practical tips for recruitment. Materials Science is not the only field experiencing a rise in papers from Asia and the Middle East – the number of submissions has seen strong growth across the board in recent years. While in 1996, these countries collectively published fewer than 200,000 papers, in 2012, close to 900,000 papers from the region were published. Year on year growth of scholarly output (Compound Annual Growth Rate (CAGR)) was high at more than 10 percent, and even higher in the last 10 years at nearly 13 percent (data source: Scopus). 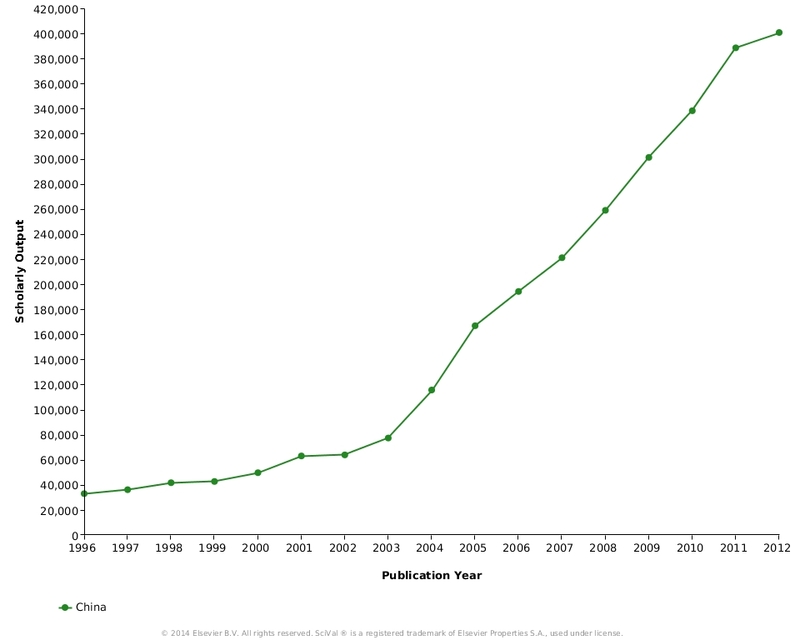 This increase has been driven in particular by the explosion of publications from China (see figure 1): in 1996, China published fewer than 33,000 scholarly papers; in 2012, this grew to over 400,000 papers – an impressive CAGR of 20 percent over the past 10 years. It is not only the number of publications from China that is increasing – we are also seeing the impact of those papers grow (see figure 2). 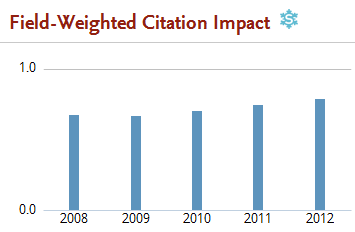 Field-Weighted Citation Impact (FWCI) is a measure of average number of citations per paper normalized against the expected citation rates for publications in the same field. While China is still significantly under the world average of 1, it has recently grown in FWCI from 0.68 in 2008 to 0.73 in 2012. China’s scholarly output is heavily dominated by the Physical Sciences (see figure 3), which together account for two thirds of the papers published in 2008-2012 that had at least one author with a Chinese affiliation. 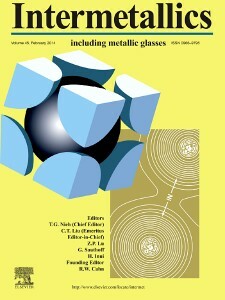 Materials Science alone accounts for nine percent of the country’s scholarly output over that period. 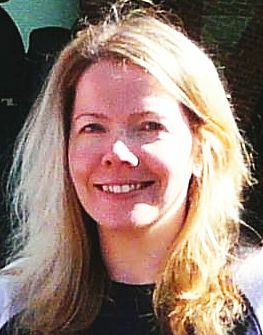 As part of the Scientometrics & Market Analysis team in Research & Academic Relations at Elsevier, Sarah Huggett provides strategic and tactical insights to colleagues and publishing partners, and strives to inform the research evaluation debate through various internal and external discussions. Her specific interests are in communication and the use of alternative metrics for evaluating impact. After completing an M.Phil in English Literature at the University of Grenoble (France), including one year at the University of Reading (UK) through the Erasmus programme, she moved to the UK to teach French at University of Oxford. She joined Elsevier in 2006 and the Research Trends editorial board in 2009. Huggett contributed the section 'The Growth of Research in China'. Interviews were conducted by Linda Willems, Editor-in-Chief, Editors' Update. Thank you very much for taking the time to comment and we are really pleased to hear you are interested in this initiative. It could certainly be used in the way you suggest. The figures are interesting but misleading. With the exception of a few outstanding individuals the standard of publication from Asia appears to be well below international standards so there is implicit in this a serious question of quality of editorial and review process. It is also evident to anyone who trains visiting Chinese students that their local training is poor and needs significant effort as this is generating much of the quality of work we see being submitted. Comments from existing editors have noted that this too has been poor and much more needs to be done to raise not only scientific standards but awareness of ethics which appear to be perceived differently between local scientists and those who have been trained overseas. That these issues are not raised and discussed openly has to be concern as it reflects on the motivations of the journals and the lengths they may go to access larger markets. Undoubtedly, the quality of scientific practice varies both by country and by subject discipline. 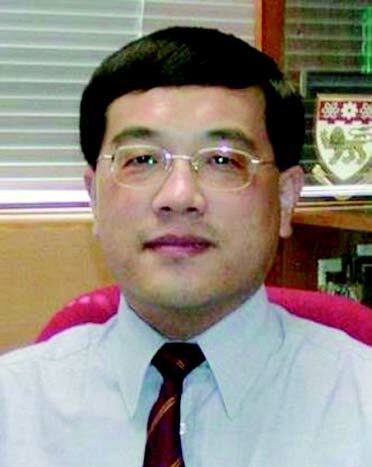 China, for instance, has a very strong position in Materials Science and publishes much significant work. What we can say, and I hope that the article and the enclosed figures make this clear, is that Scientific discovery – and publication – will increasingly come from countries such as China and we need to engage with scientists in those countries if we want to maintain – and indeed enhance – standards in the future. Undoubtedly there will be people in all countries who fall short of international standards and that's most likely in institutions without a long track record of engaging with the wider scientific world. As a result, there is a big focus in countries like China on raising standards in all areas of scientific endeavour, including publishing. The key thing, it would seem to us, is to engage, to organise events and to bring people into the scientific process. Initiatives like the one Deborah describes are part of our efforts to help new people to take on editorial responsibilities. Likewise, we have been running author workshop programmes across the World and address many of the concerns around standards and ethics at those events.